The Nasir al-Mulk Mosque (Persian: مسجد نصیر الملک‎‎ Masjed-i Nasir al-Mulk), also known as the Pink Mosque, is a traditional mosque in Shiraz, Iran. It is located in Gawd-i Arabān quarter, near Shah Cheragh Mosque. 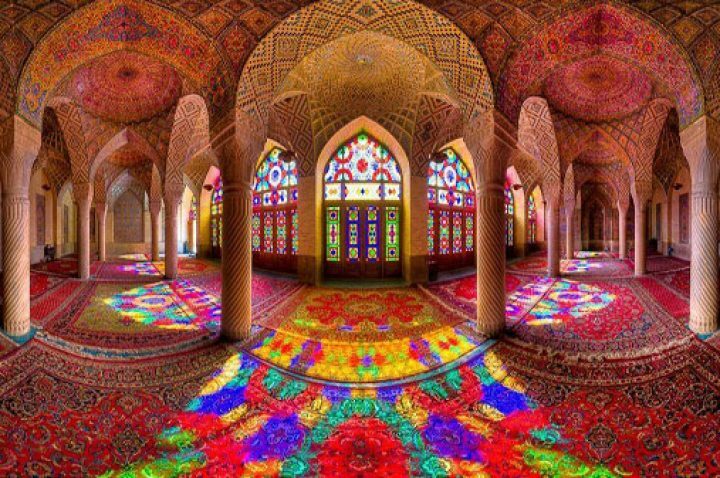 The mosque includes extensive colored glass in its facade, and displays other traditional elements such as the Panj Kāse (“five concaved”) design. It is named in popular culture as the Pink Mosque, due to the usage of considerable pink color tiles for its interior design.